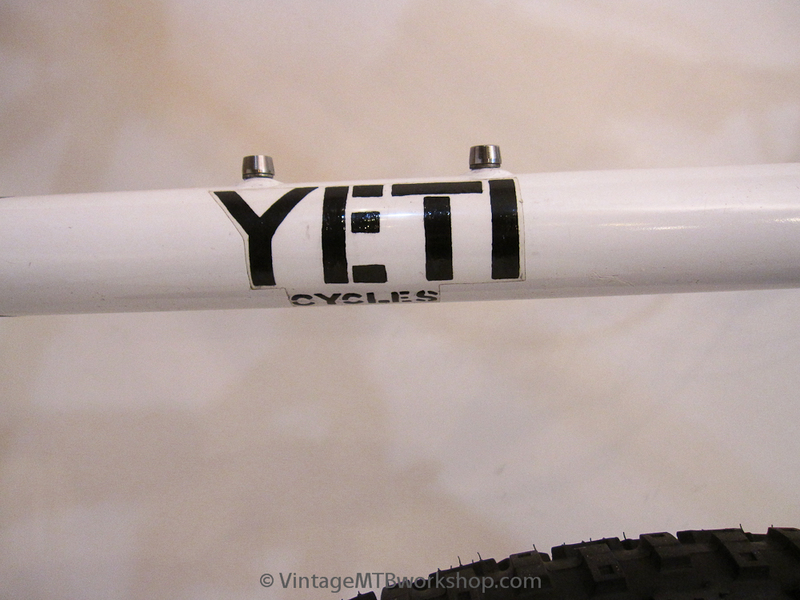 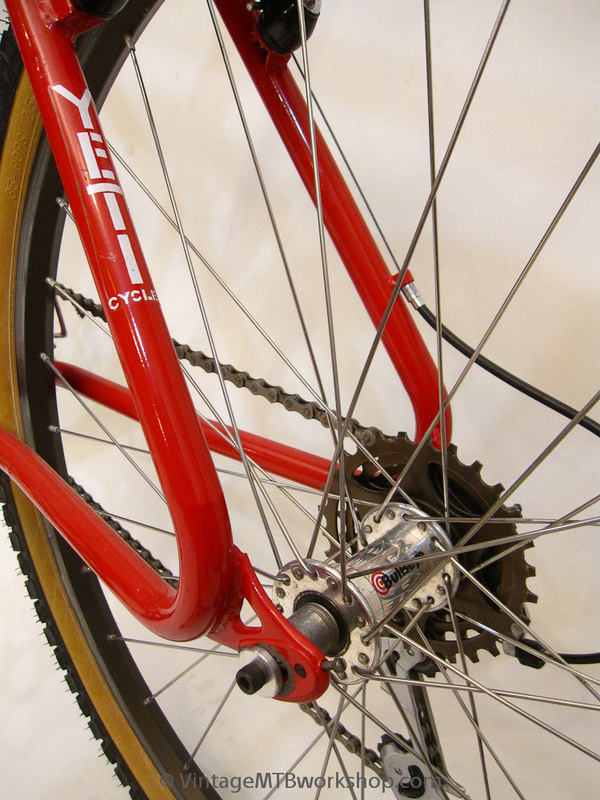 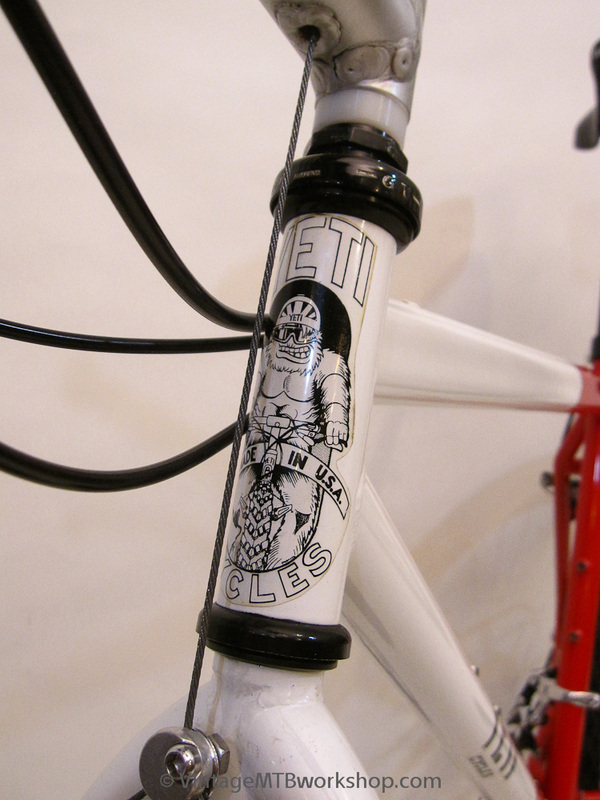 Yeti Cycles came to life after John Parker bought Sweatheart Cycles, makers of the Moto Cruiser. 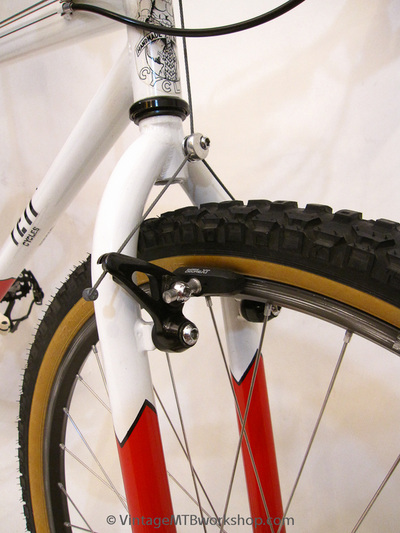 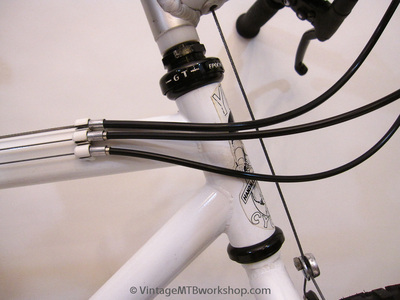 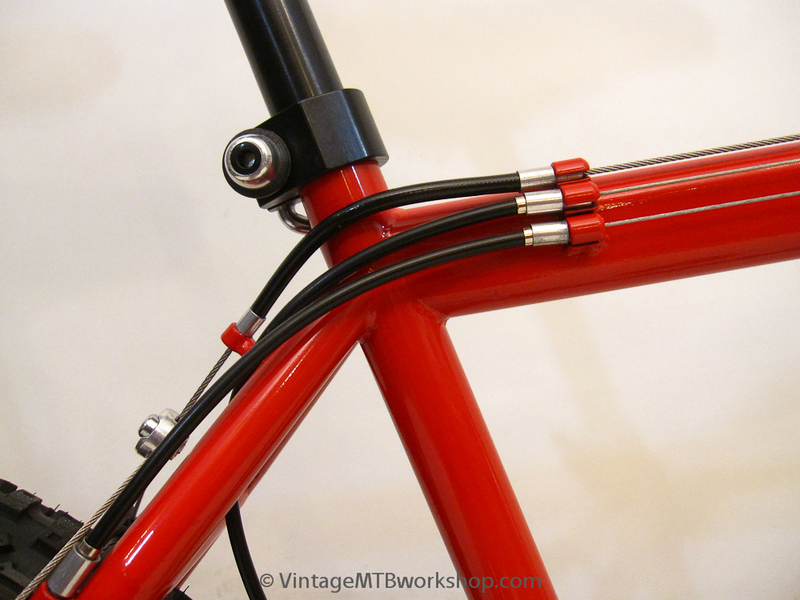 From this came the fork design, Simplex dropouts, and BMX inspired features such as the headtube size, loop stays, and components from GT, Cook Brothers Racing, and Bullseye. 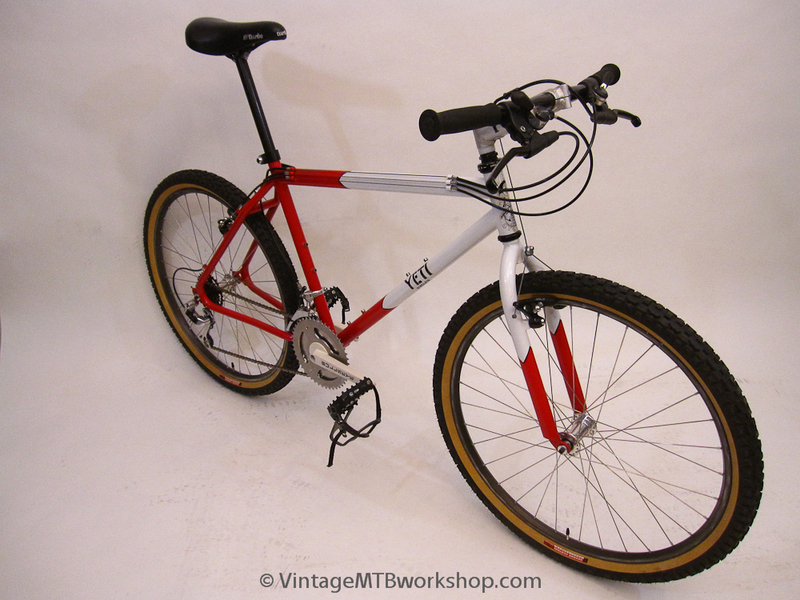 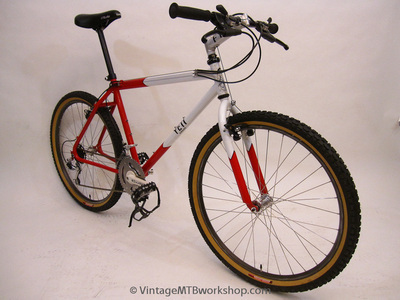 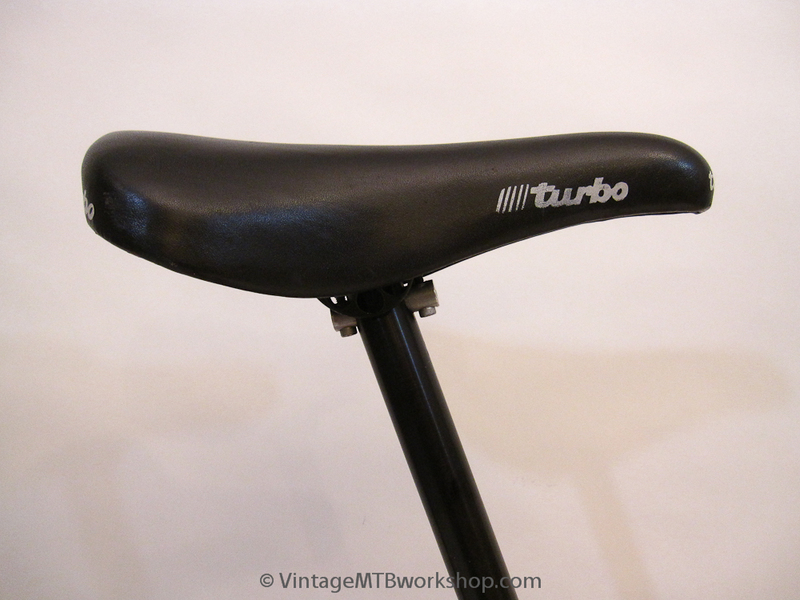 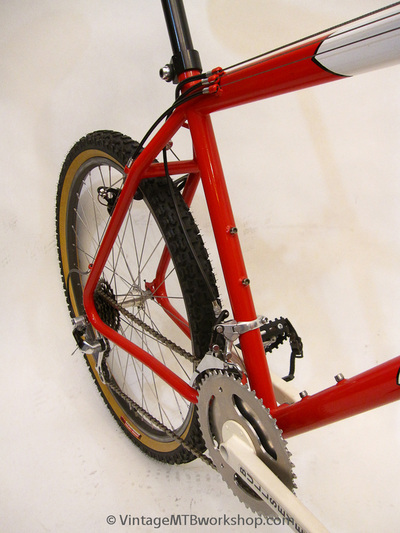 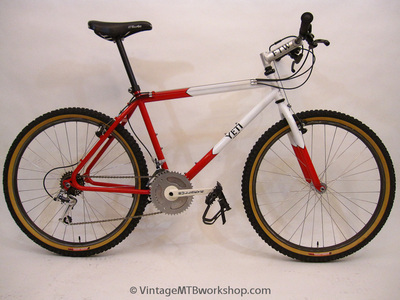 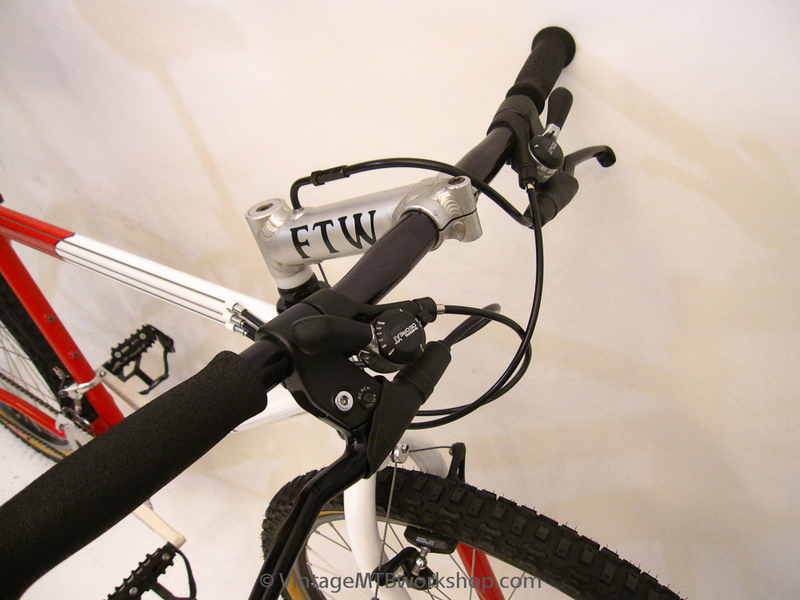 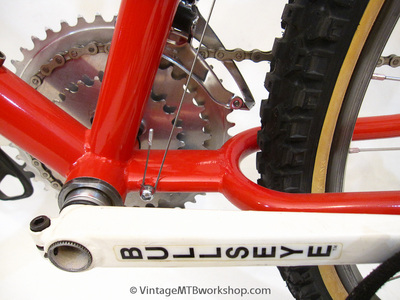 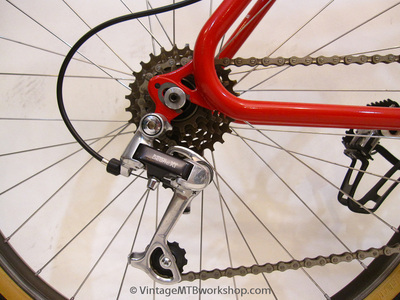 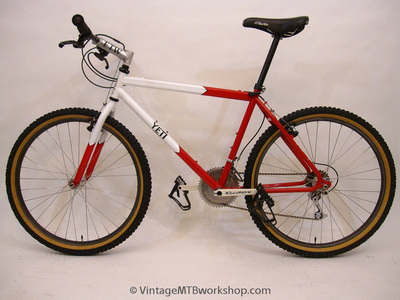 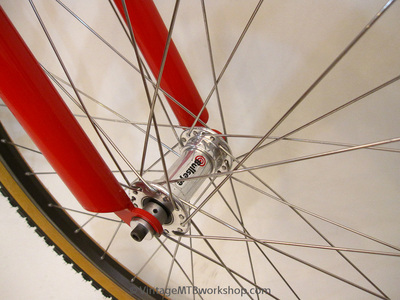 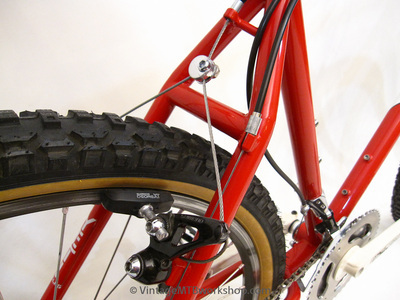 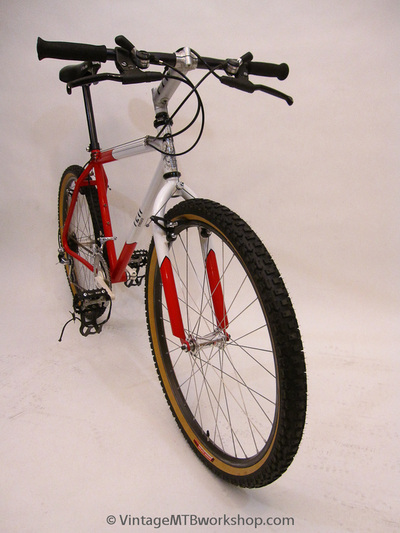 While these bikes had the appearance and reputation for being bomb proof, they did suffer from failures at the chainstays and the seat cluster. Fixes were available for these problems, although this particular example has escaped that fate. 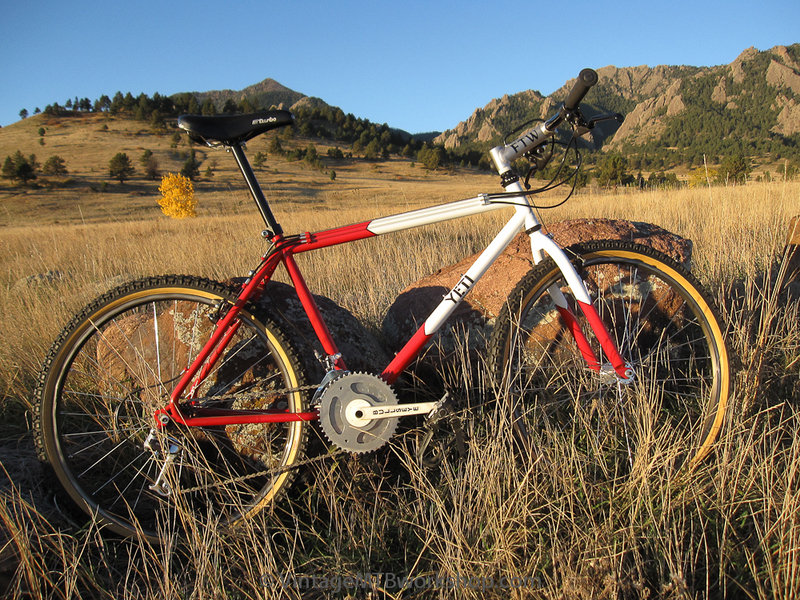 This bike also appears to be one of the earliest to have the classic chevron paint scheme. 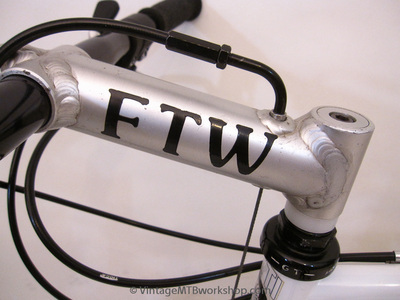 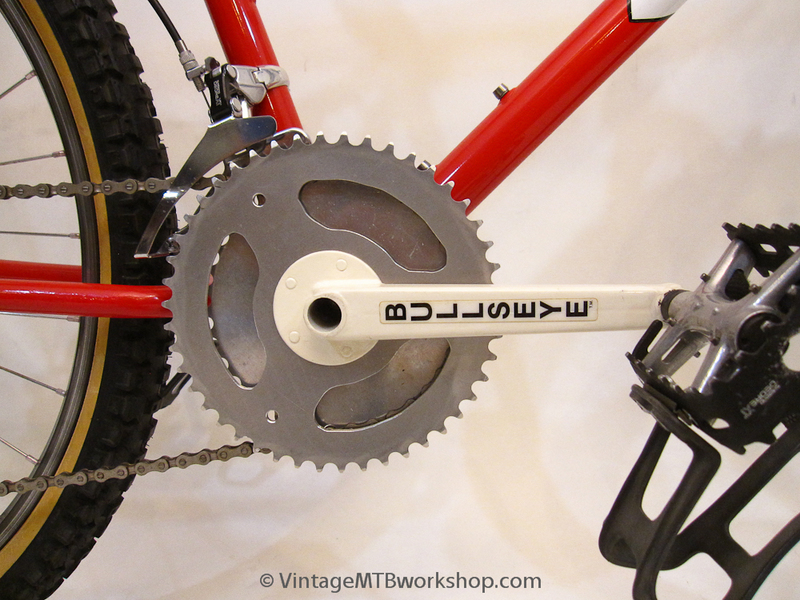 Components like the aluminum FTW stem and Bullseye chainrings made by Roger Durham are particularly rare. It has been said that the Yeti FRO handles better the faster it is ridden.